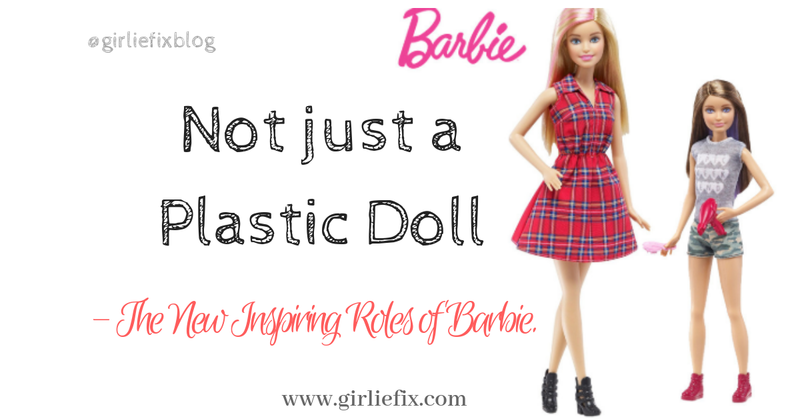 Home » lifestyle » Not Just A Plastic Doll - The New Roles of Barbie. Not Just A Plastic Doll - The New Roles of Barbie. Over the years, Barbie has taken on many roles: Beach beauty, scientist, even president of the United States. And now, she will work to help young girls close the so-called "Dream Gap". The doll's maker Mattel on Tuesday announced a sweeping campaign in collaboration with university researchers to teach young girls to believe in themselves, and not to buy into sexist gender stereotypes. "Research has identified that starting at age five, many girls are less likely than boys to lose confidence in their own competence," Mattel said in a statement. The company will fund research and work on "rallying a community around supporting girls" through its multi-year Dream Gap Project. Mattel unveiled a new ad featuring young girls holding placards that read "Close the Dream Gap" and ties into Barbie's "You Can Be Anything" campaign. The brand is working with researchers at New York University and hopes to extend that initiative in other partnerships around the world. It also will highlight "at least 10 empowering female role models each year globally." Though Barbie is often criticized for perpetuating negative stereotypes with her impossibly lean physique, the brand has worked hard in recent years to portray a modern image. In early 2016, the California-based company launched Barbie versions in three different body shapes – tall, petite and curvy – and in seven different skin tones. This year's featured career is a robotics engineer. Another new line showcased "Inspiring Women" such as aviation pioneer Amelia Earhart and black NASA mathematician Katherine Johnson. Moreover, three Chinese women had been honored as one-of-a-kind Barbie figures for International Women's Day (March 8) 2018, including the volleyball champion Hui Ruoqi, actress Guan Xiaotong, and prima ballerina Tan Yuanyuan. "Barbie is committed to shining a light on empowering role models past and present in an effort to inspire more girls," the Mattel indicated. "Since 1959, Barbie has inspired the limitless potential in every girl," said Lisa McKnight, general manager and senior vice president for Barbie at Mattel. "We believe that empowering them at a young age is a catalyst to unlocking their full potential." But some criticized the project for celebrating role models. "You've let team female down," said Kylie Knott of the South China Morning Post. Critics say those who do not resemble their image of Barbie dolls would not be able to escape from "Barbie" stereotype. Knott said that it appears that Mattel works on only one template, an unrealistically slim silhouette with similar face. Beside stereotypes, toy makers in China and the US are on edge as the Trump Administration has placed tariffs of up to 25 percent on about half of all goods shipped from China. "If the US were to move forward with a 25-percent tax on all imported toys, it would cut 10.8 billion US dollars out of the US economy and lead to the loss of 68,000 jobs in America," said Rebecca Mond, vice president of federal government affairs at the Toy Association, a US-based trade group. In July, Mattel announced that it was cutting 2,200 jobs after reporting another steep quarterly loss, despite rising Barbie sales. The trade war has already enveloped several children's items such dress-up clothing, board games and arts and craft items, with the US imposing 10 percent tariffs from September 24. These levies could rise up to 25 percent on January 1 if no resolution is reached. 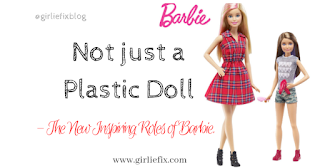 TAGS: GIRL POWER, BARBIE DOLLS, PLASTIC DOLL, BARBIE ROLES.